Acne Studios - Acne Studios's blue Trash 1999 jacket embodies the effortless edge that encompasses the brand's Scandinavian style. Crafted from cotton with a boxy silhouette with classic features - including a point collar, flap pockets and vertical seams - it's a modern take on a vintage staple. 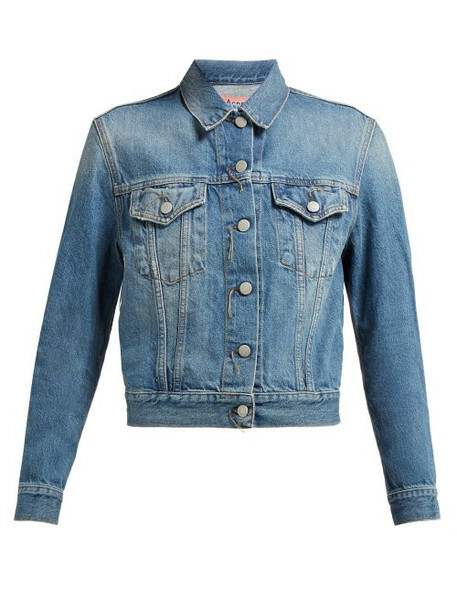 Wear it with matching shorts for a stylish double-denim ensemble.